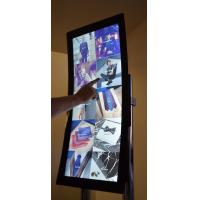 Projected capacitive touch screen foils allow you to create engaging and bespoke touch screens. 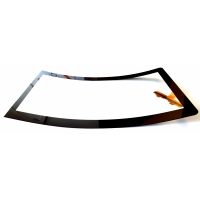 Projected capacitive (PCAP) foils are waterproof, reliable and versatile. 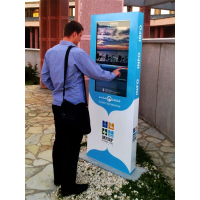 Use them for indoor and outdoor touch screens in public, industrial and commercial locations. 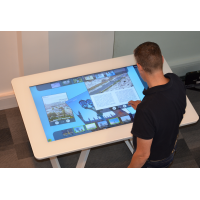 Contact VisualPlanet for more information. 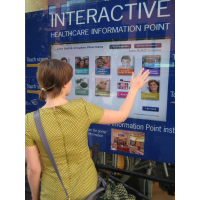 PCAP touch foils are ideal for creating unique, engaging, interactive displays. 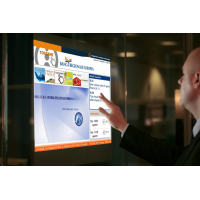 Laminate the PCAP touch film onto the inside of a glass surface to turn it into a touch screen. 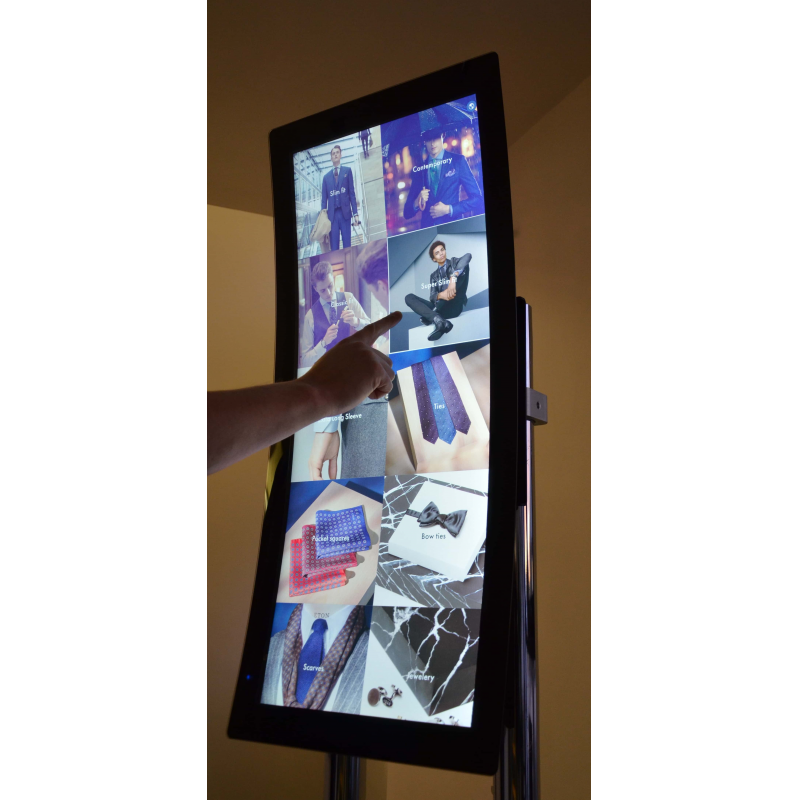 VisualPlanet can supply touch screen foils on their own or on glass. 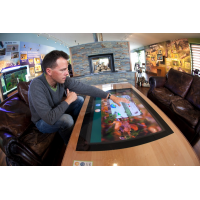 VisualPlanet works with leading glass manufacturers to supply high-quality glass suitable for 4K, high-definition displays. 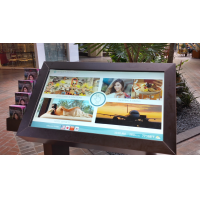 VisualPlanet touch foils are available in dual touch or multi-touch options. 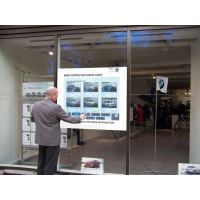 The multi-touch foil responds to 32 individual touches at the same time, allowing you to engage multiple customers simultaneously. 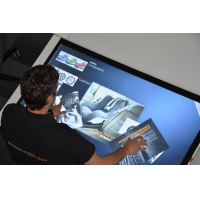 Projected capacitive touch screen foils are highly customisable. Choose the ideal size for you. 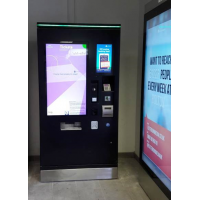 For example, choose a 15-inch PCAP foil for a self-service ticket machine or an 85-inch foil for large, interactive signage. Touch screen foils can be easily applied to curved glass. 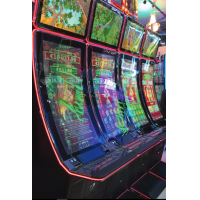 Curved touch screens are ideal for gaming machines, where the curved glass helps attract customers. 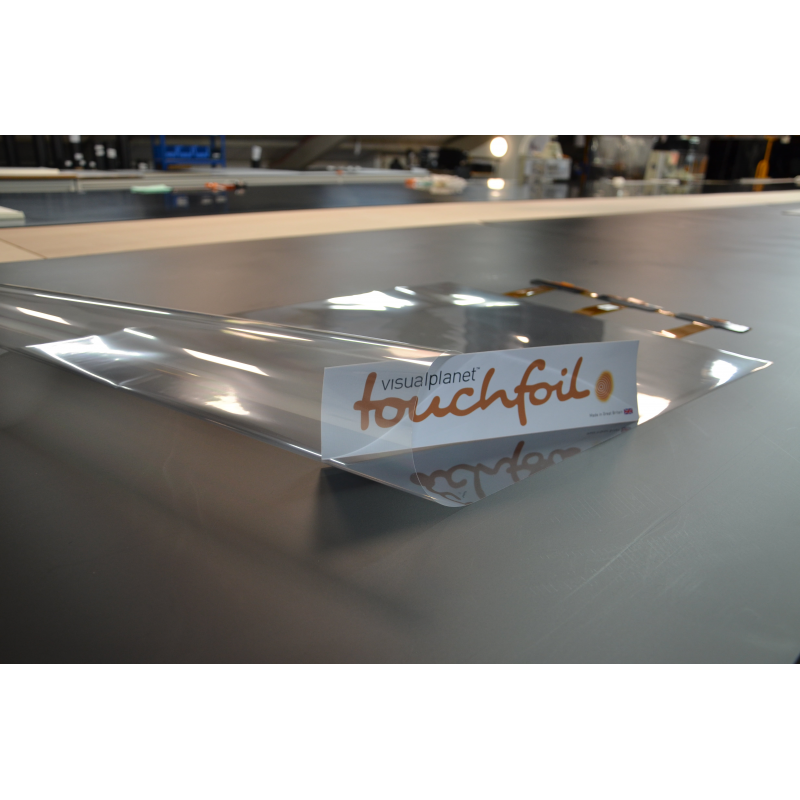 Touch screen foils are durable and reliable. 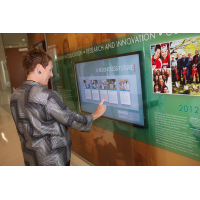 The foil is never touched because it’s laminated to the back of a glass surface. 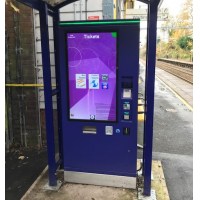 As such, the foil is not damaged by frequent use and has a long lifespan. 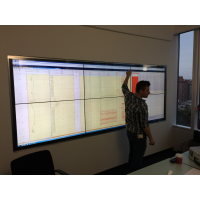 PCAP technology can be used when the user is wearing gloves, which makes it ideal for industrial, sterile and cold weather environments. 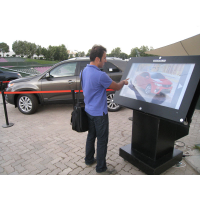 VisualPlanet’s interactive touch foils work in hot and cold temperatures and heavy rain. 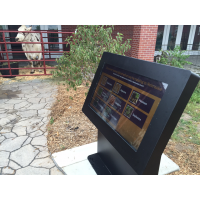 Use them for outdoor displays, such as wayfinding kiosks and interactive digital signage. 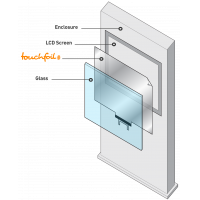 You can apply a PCAP foil to glass from 2 to 10 millimetres thick. 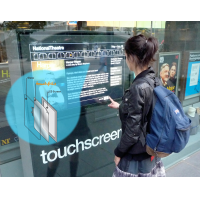 By using thick glass, interactive foils are ideal for vandal-proof touch screens in public areas, such as bus and train stations. 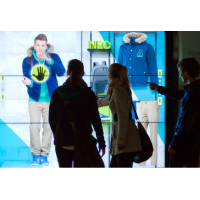 VisualPlanet has worked with international customers such as Adidas, Samsung, BMW and more. 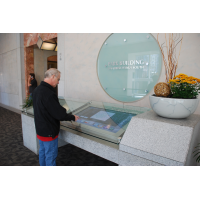 Touch screen foils come with a two-year warranty and VisualPlanet provides outstanding customer support. 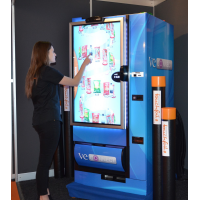 To discuss your exact requirements, please contact VisualPlanet on the form below. 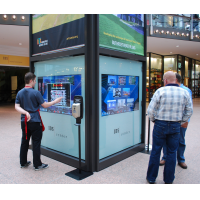 Engaging: PCAP foil delivers interactive, multi-user experiences that engage customers with your brand. 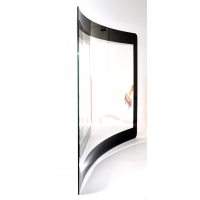 Bespoke: choose the best size for you, on flat or curved glass. 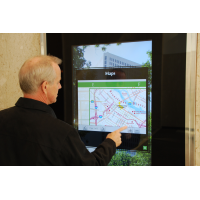 Secure: thick glass can make your touch screen vandal-proof. 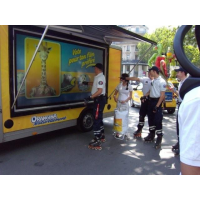 Reliable: works in heavy rain, dirty environments and hot and cold weather. 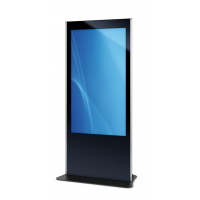 Sizes 15 to 85 inches. 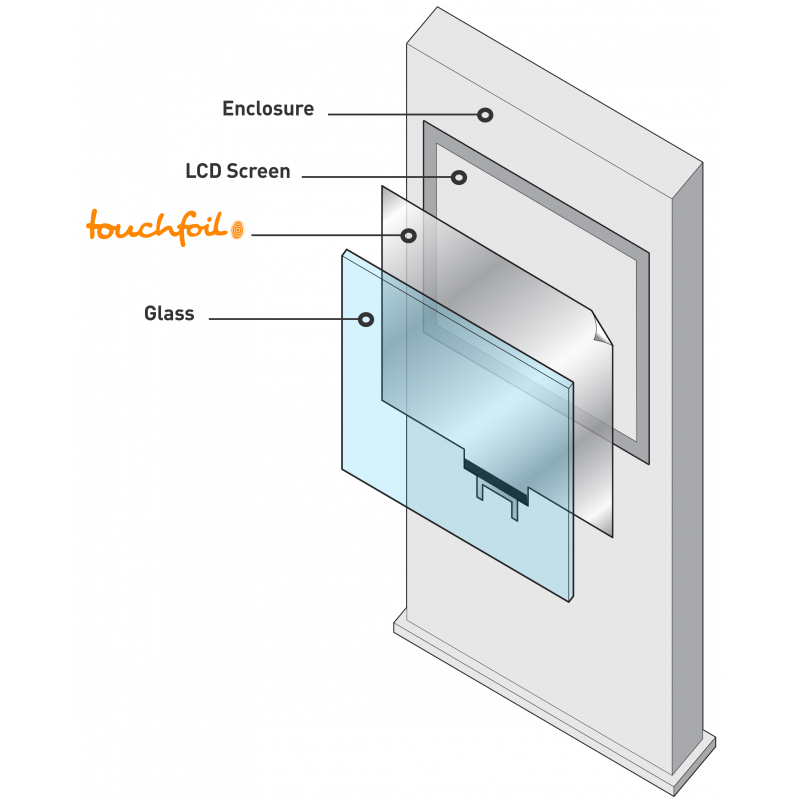 For more information about projected capacitive touch screen foils, contact VisualPlanet today.